One of the best overdrives i tried if u dont like the mid gain from a TS808 this is the overdrive fo.. 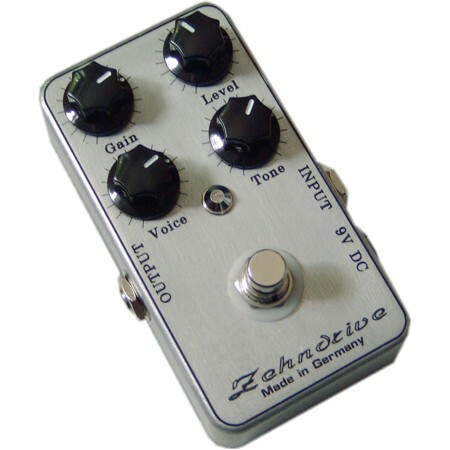 I just finished and tested my Zehndrive pedal. I'm VERY satisfied with the result. It sounded right.. Frustrated i wanted a Zendrive so badly --it hurt !! 2 year waiting list even from new owners Lovepe..
Amazing postal service. It took 3-4 days from Germany to Cardiff. The manual is well made though it ..
All the components seem to be of the best quality and if you follow the instructions closely and tak..
Great kit! A bit "tricky" to build (use a soldering iron with a fine tip! ), but it is worth it! Soun..